We aim to provide each student with personalised attention to equip them with the skills and practical experience in the process from concept to design and execution. 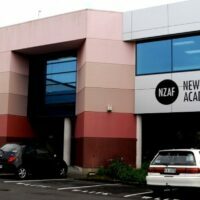 Since 2005 then NZ Academy of Fashion Design has been training individuals who want to enter the fashion industry or become fashion-design entrepreneurs. In 2008 we were fortunate to be awarded PAA\VQ-SET Centre Approval to deliver the Diploma in Apparel Product Development, Level 3. Our students have gone onto further careers in the fashion industry, both here and abroad with strong practical skills. However the qualification was discontinued in 2015 and we created a practical course to give New Zealand students the technical skills they need. Our teaching and learning strategy has been developed by the idea that teaching and learning should be reciprocal. The tutors aim to provide learning and teaching that is relevant and holistic. Learners are taught a practical skill, then they are guided as to the why, how, when and where to apply it. Learners are challenged and stretched throughout the course in order to grow. They are then required to complete the challenge through self-direction, exploration and guidance from a facilitator. Tasks are designed to promote creative learning, encourage new skills and endorse informed and relevant choices.